The Muslim radicals of ISIS said they were killing the Egyptians, not because they were Egyptians but because they were CHRISTIANS! – the People of the Cross. 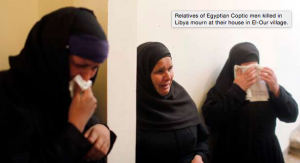 These were foreign workers in Libya who came to work so they could send money home to their families (the women crying to the right). 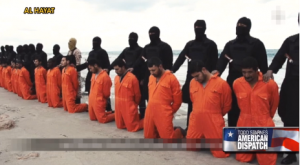 Obama does not want to admit this is a religious war and Muslims are killing Christians. Watch the video and catch up a bit with this shameful and disgusting episode in world history and the cowardice of America (or at least it’s current leadership). After 8 years, the new DVD in the Footprints of God series is now completed! We are taking pre-orders with a special offer. DVDs will ship at the end of March 2015! 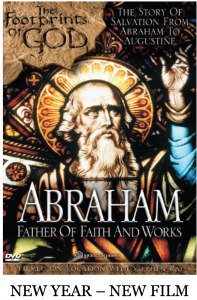 ABRAHAM: FATHER OF FAITH & WORKS along with a Comprehensive Study Guide. The story of salvation from Abraham to Augustine he left his home and the false gods of his fathers to follow the God of glory. Mount your camels and journey back in time to discover Abraham, the only man called the “friend” of God. Born of a pagan family among ziggurat temples and foreign gods, Abraham obeyed the call of God. Leaving is homeland he journeyed to a far-off land. When required to sacrifice his only son, Abraham held his course, plunging absolute trust in God. 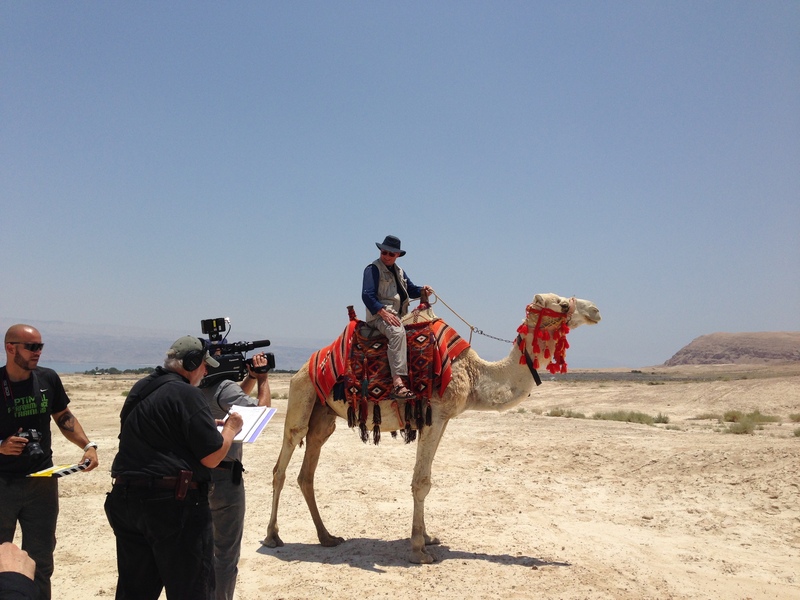 Join the adventurous Stephen Ray, best-selling author and popular Bible teacher, who takes you on an exciting journey through Iraq, Turkey, Palestinian territories and Israel. You’ll see Abraham’s hometown near Baghdad, where he offered Isaac as a sacrifice and the tomb of the patriarchs were Abraham is buried. Learn how Abraham was justified before God by faith, obedience and good works. Join the sweeping saga, all in a fast-paced, entertaining biography, travel documentary, Bible study, apologetics course in church history study rolled into one remarkable adventure! Comprehensive study guide included. ALL EIGHT FOOTPRINT DVDs: $160 with a free signed book offer.